To the unknowing or uninitiated, declaring bankruptcy, either chapter 7 or Chapter 13, may seem like magically eliminating all your debt. This leads many to ask who pays for bankruptcy. It’s true that bankruptcy will wipe out some or all debt, the debt solution comes with filing fees and administrative costs associated with it. Both Chapter 7 and Chapter 13 bankruptcy include fees and administrative costs. Filing fees for Chapter 7 are $335 and $310 for Chapter 13. Additionally, you should expect to pay attorney fees to your bankruptcy lawyer. So isn’t the point of declaring bankruptcy because you don’t have any money? That’s true, that a Texas bankruptcy is designed to help eliminate debt that can’t be paid, however, the clerks, judges, attorneys, and trustees that make the bankruptcy system need to be compensated for their time. It’s important to note that while you should expect your total bill, with bankruptcy attorney fees to range between two and five thousand dollars, most individuals are able to eliminate much more debt than this. When you’re already struggling with paying down debt, finding the money for bankruptcy can sometimes be difficult. Individuals planning on filing bankruptcy often save the money over a short period of time in order to finance their bankruptcy and still other rely on personal loans. Failing these methods, you can sometimes free up money by discontinuing payments on unsecured debts that will be eliminated during your bankruptcy. You should consult your attorney before stopping payment of any debts before bankruptcy, however, as this could affect the outcome of your bankruptcy discharge. 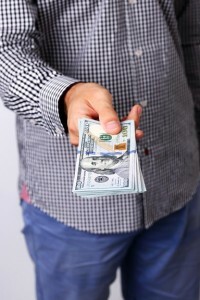 For those who earn too much money to file for Chapter 7 bankruptcy, a Chapter 13 bankruptcy can sometimes allow you to roll the cost of your bankruptcy lawyer into your repayment plan to be paid back over the course of three to five years. The primary goal of bankruptcy is to receive a discharge of your debts. In other words, your legal liability to pay certain debts included in the bankruptcy are wiped out, leaving you with a fresh slate to begin to build up your financial strength. Debts typically eliminated in the bankruptcy process consist of medical debt, credit card debt, personal loans, access auto or home loan balances (see cram down), income tax older than three years, and more. Once all the forms and information have been delivered and all procedures have been filed, you receive a discharge notice at the conclusion of your bankruptcy case. No one individual’s debt situation is the same. Additionally, bankruptcy court processes also differ from state to state and even jurisdiction to jurisdiction. For example, the Bankruptcy Court in the Southern District of Texas may view certain debts as dischargeable while the Bankruptcy Court in the Northern District of Texas may not. Because you must file bankruptcy in the location you have lived the longest of the past 6 months, it’s important to hire a Dallas bankruptcy attorney that is familiar with the nuances of your bankruptcy court. This will increase your chances of having your bankruptcy case confirmed and your debt discharged.